As we move into 2017 I am really excited to be offering you an actual usable item created from my art. 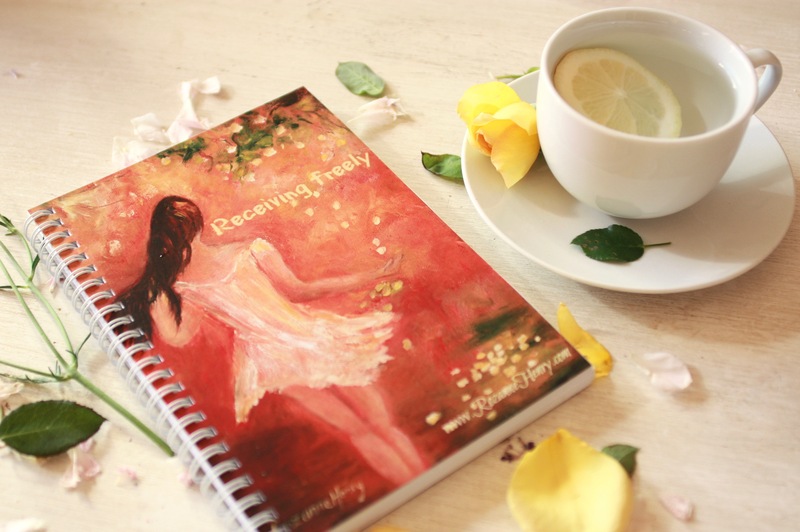 A journal to capture that which is most meaningful to you. It is a dream I have had for many years and there will be more products in time to come. 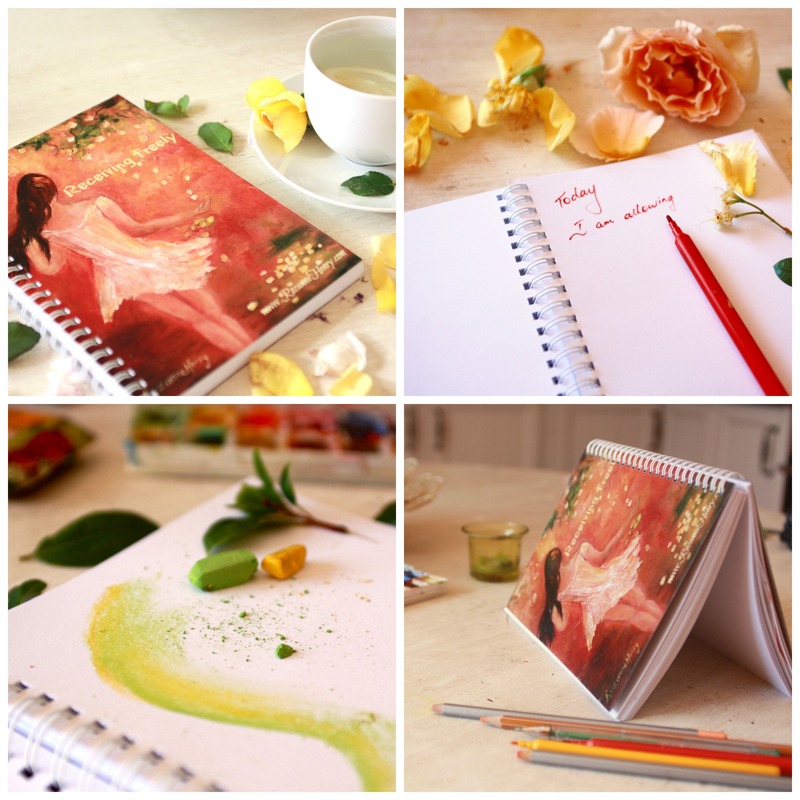 A beautiful 90 page journal/notebook for you to begin your day with. 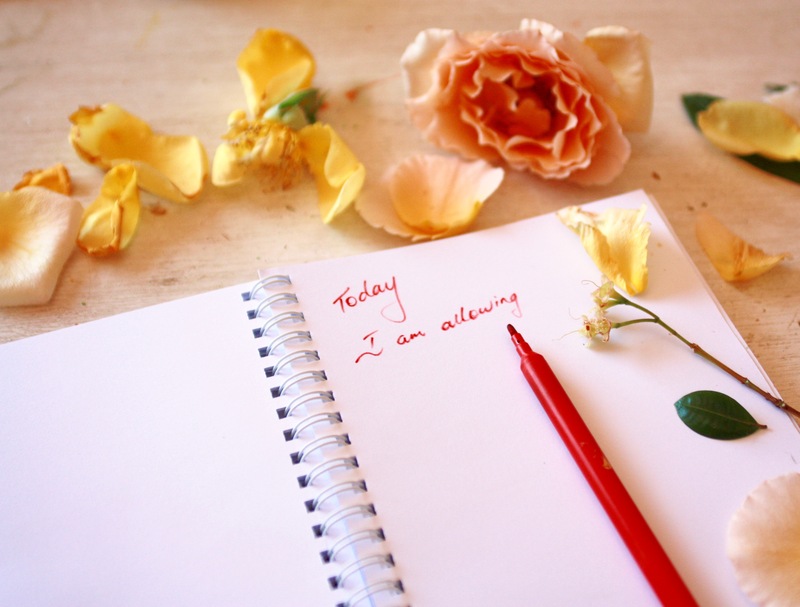 Blank pages for you to set your morning intention… write what your heart is calling…. Or you may wish to record beautiful moments of gratitude so that you keep the flow of receiving alive. You may also want to have a space to write down quotes that light your soul. 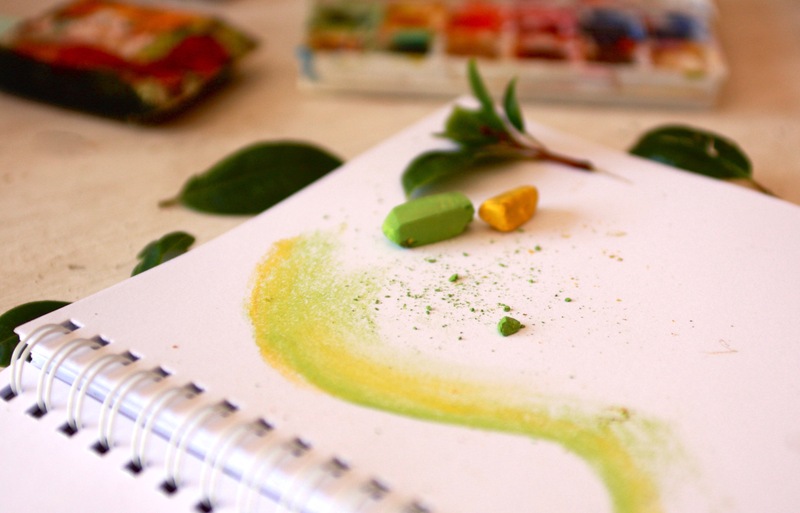 Pages to sketch with chalk or oil pastels…. 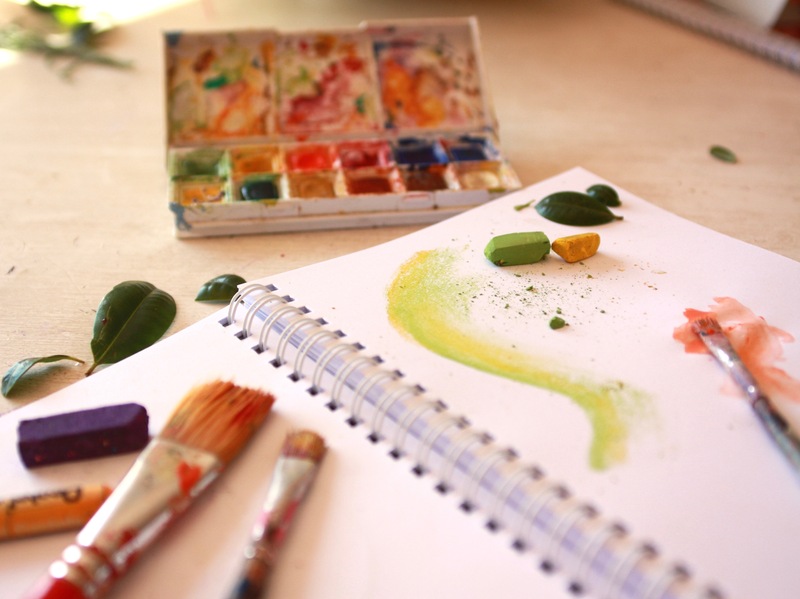 you may wish to express your first waking moments or outline a sketch for a painting waiting at your easel. You may wish to doodle with some water or acrylic paint, providing you don’t mind the pages becoming a bit “wavy”. 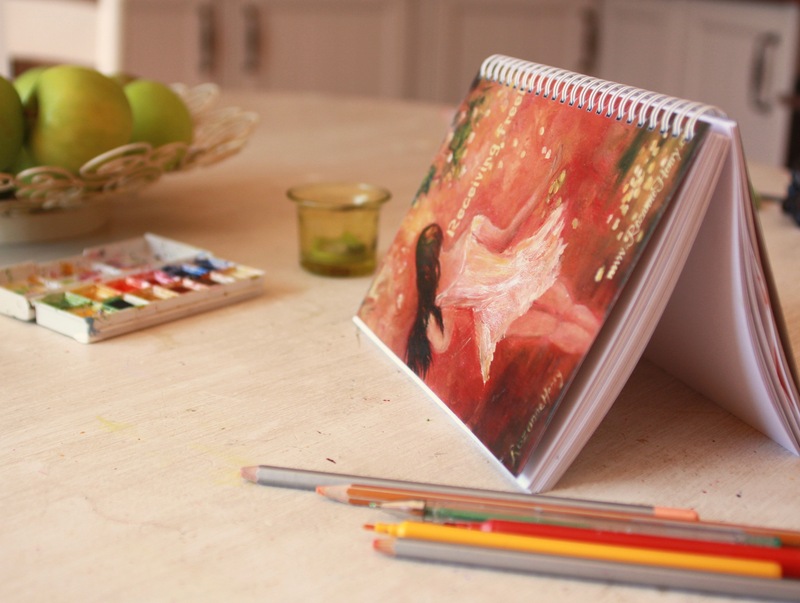 A wonderful way to keep the creative flame going… because not every piece of artwork needs a canvas or special art paper. The front and back cover has an image of one of my original oil paintings. There is a metal spiral binding so that you can easily turn the cover backwards. There is also a protective clear durable plastic sheet on the back and front to protect your journal. The plastic is clear enough to not detract from the image. This journal is small enough to easily slip into your handbag. As you wait for your children outside the school gate, or wait for your next appointment or client, as you have a quiet moment during all the noise of the day…. your journal is there to remind you of what matters to you. Your vision pages, sketches, morning intentions, lists, gratititude moments, inspiring quotes are close by as constant reminders for you. If you would like a journal with an image of any of the other paintings listed in my etsy shop, I can certainly create this for you. PS If you live locally in South Africa, you can order directly from me and pay R150. If you live in Cape Town you can collect from my studio in Plumstead Southern Suburbs. If you need me to post there will be an additional R31 for postage.